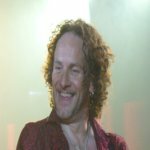 Def Leppard guitarist Vivian Campbell was recently interviewed by DaBelly Magazine and he talked about being a Lep fan in his early days. Vivian talked about his early band Sweet Savage, being a fan of Def Leppard, joining the band in 1992, the band's success/hard work, their recording technique and touring with KISS. "It's an interesting tour because we don't try to compete on the production level KISS has, you can't compete with KISS, their show is so over the top." "So I had a professional interest from day one. I was always a fan. I actually bought 'Hysteria' twice, I wore out the cassette I played it so often and then I bought one of those new fangled compact discs."